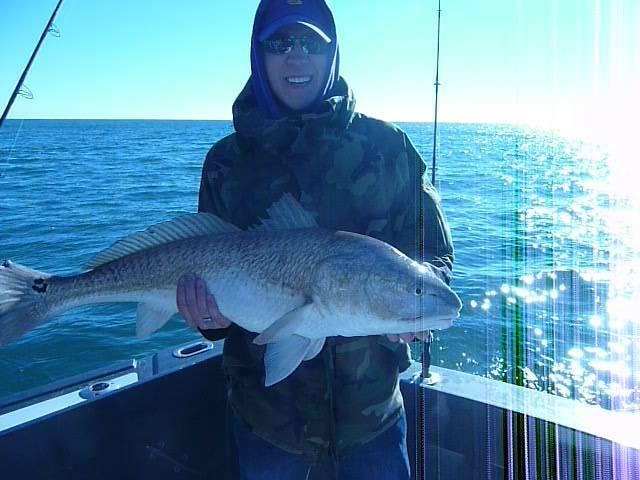 Gulf Shores AL Inshore Fishing Winter Trips – Fish are still biting! 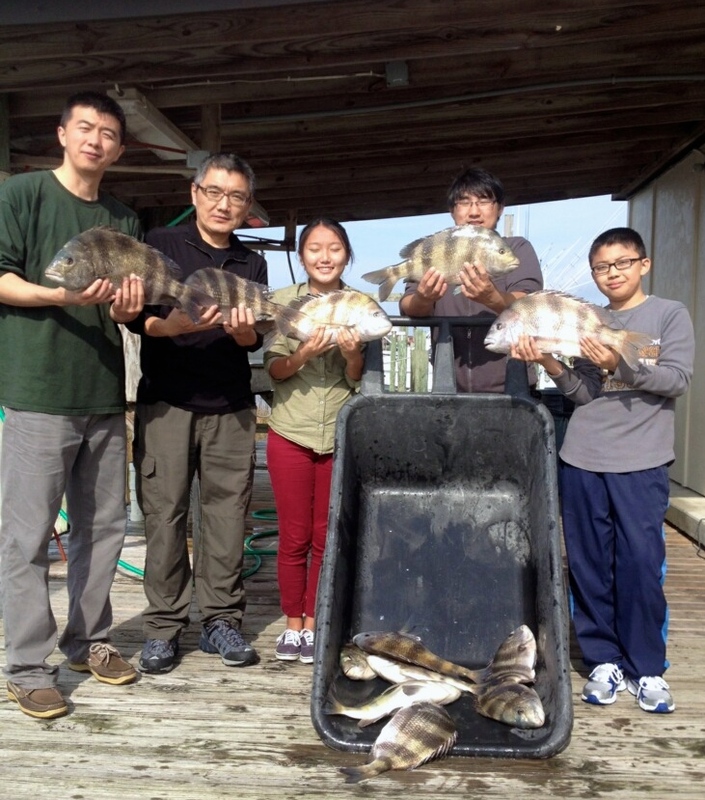 The Back Waters of the AL Gulf Coast bays, bayous, rivers and canals are the habitat for a diverse population of fish that can be caught year round. 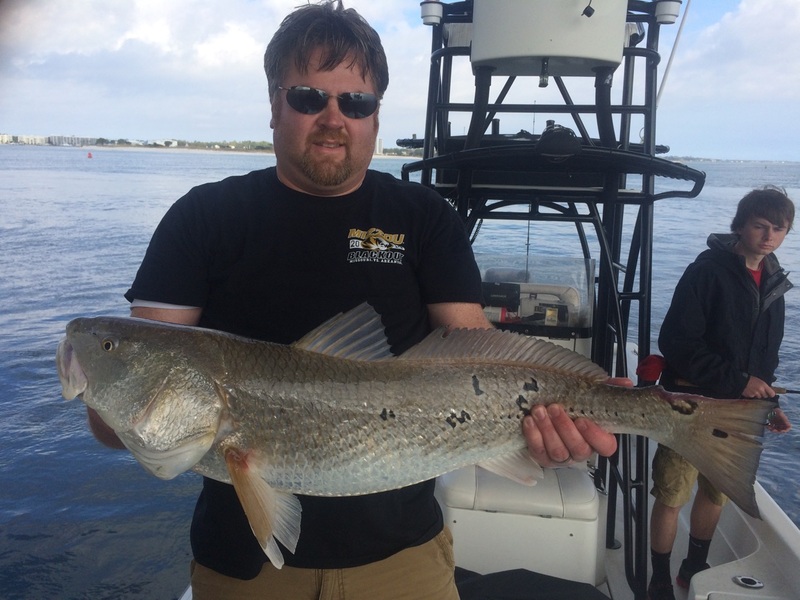 We use live bait, light tackle and travel these calm back waters to target inshore species including redfish (red drum), speckled trout, flounder, sheepshead and pompano. 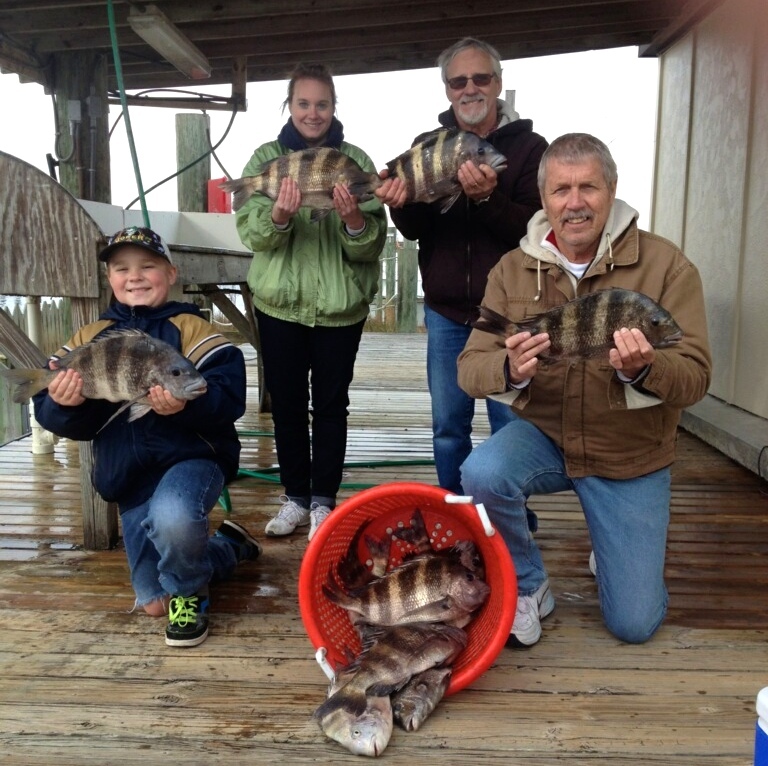 A family of repeat AAA Charters customers enjoyed their now annual fishing trip with Captain Marty Starling on the Shearwater. 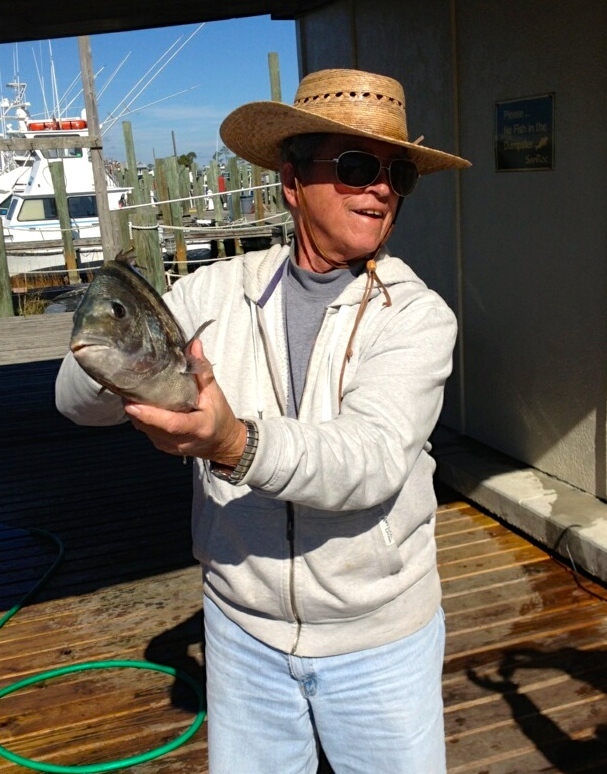 Departing from Orange Beach AL, once again the Captain kept this crew reeling in fish throughout this January morning. 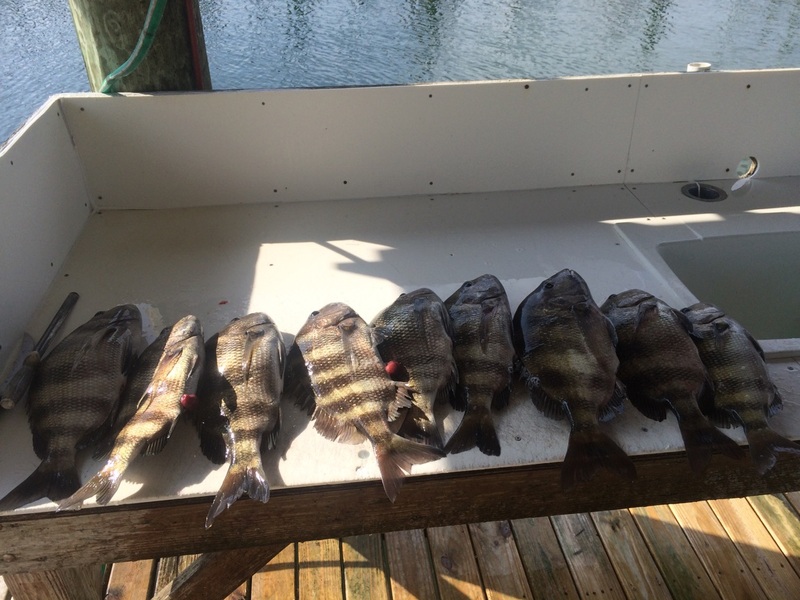 They found a strong sheepshead bite, and had quite a few for Marty to clean for their fish dinner. 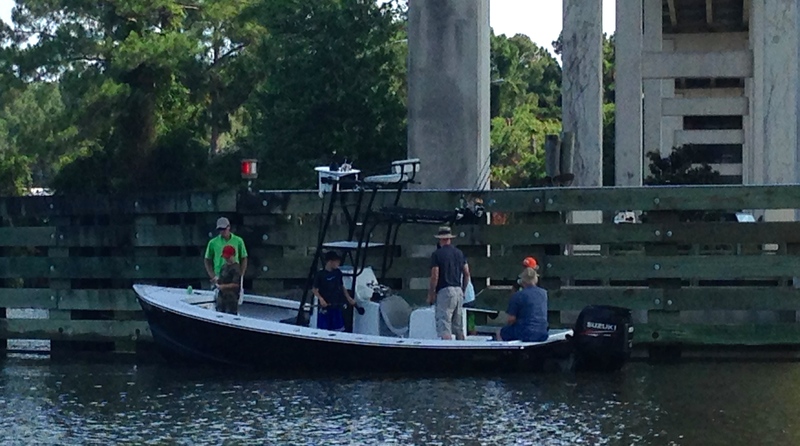 Our inshore fishing fleet includes 22′-28′ center console skiffs that are ideal for exploring the Alabama Gulf Coast Waterways. 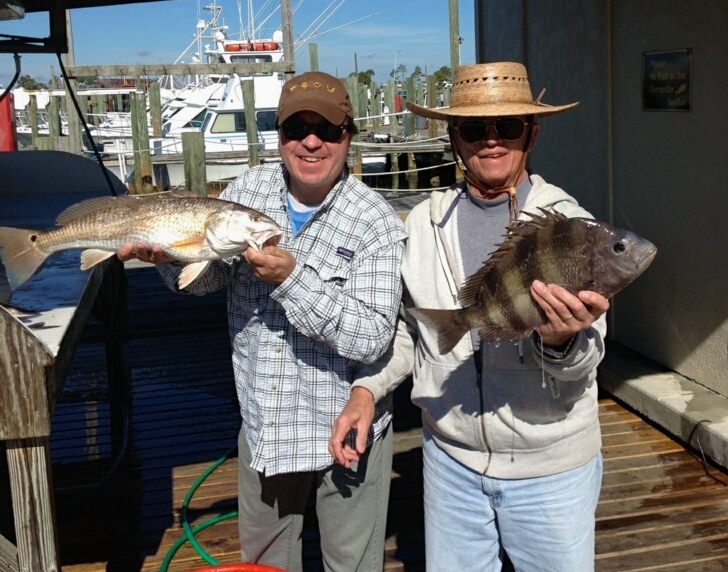 These inshore charter boats carry a maximum of six anglers, and multiple boats can be booked for larger groups. This trips are popular with our winter snowbirds as well as families visiting our area. 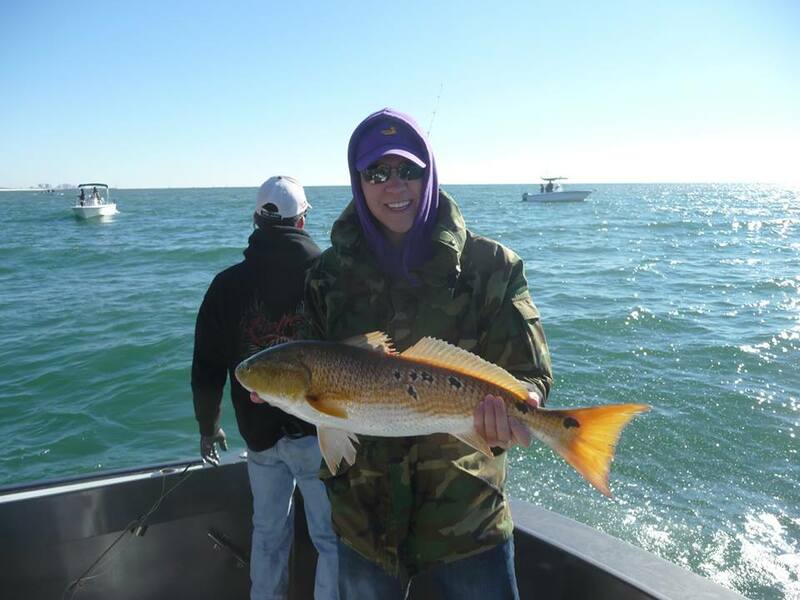 There is no need to purchase a fishing license for these trips. 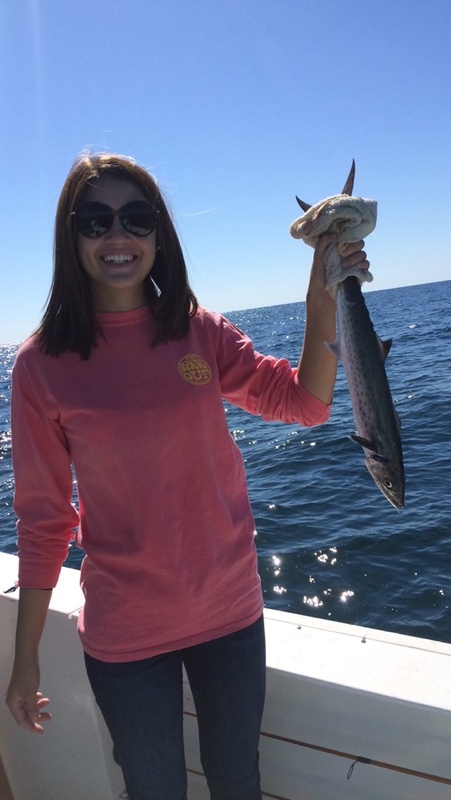 Our pricing includes fishing license, bait & the tackle in the cost of the charter. Sunscreen is suggested, year round. and custom private boat cruises to watch dolphin, enjoy sunset or to celebrate special occasions. 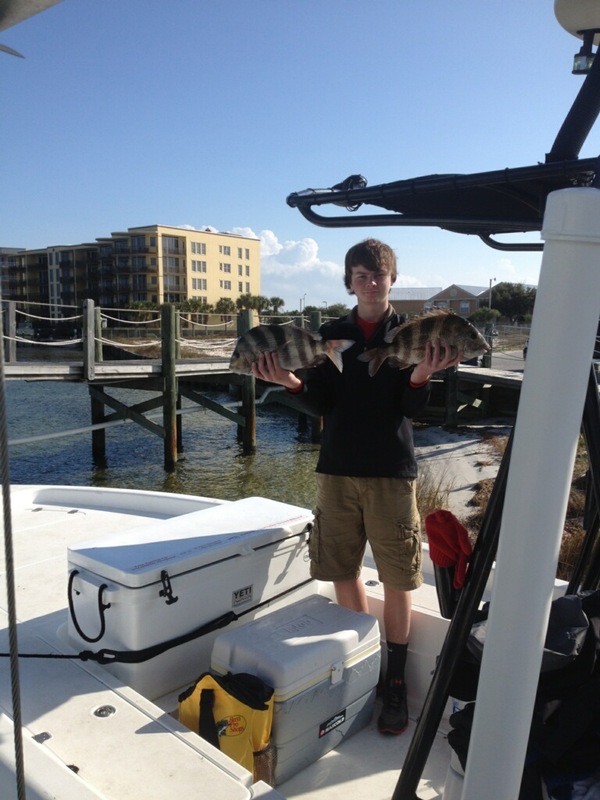 This entry was posted in Fishing, News and tagged affordable orange beach al things to do, AL Gulf Coast Back Bay fishing charters, AL gulf coast winter discounts, back bay fishing gulf shores al, family fishing in gulf shores al, gulf shores al inshore fishing, gulf shores al snowbird discount fishing, gulf shores al winter fishing charters, inshore fishing al gulf coast, orange beach back bay fishing guides, what fish are biting in gulf shores AL, what's biting along the AL gulf coast, what's biting in orange beach al on January 15, 2015 by AAACharters Team.